Image Credit: Mayflower 400 UK. 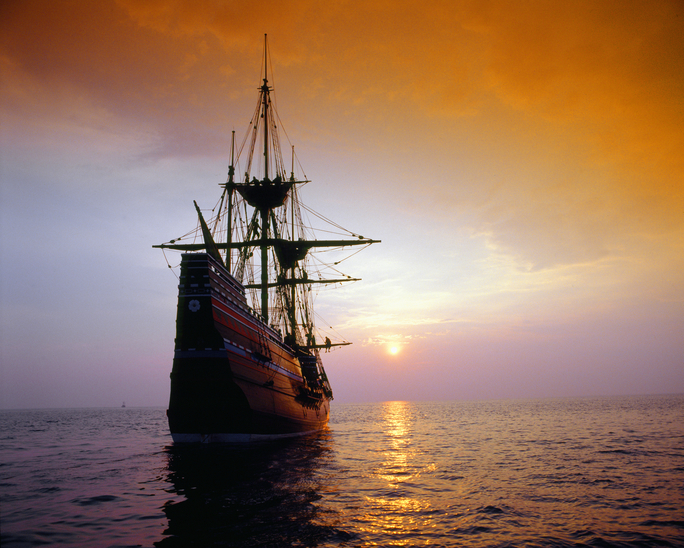 Britain and the World returns to the UK in celebration of the 400th anniversary of the Mayflower’s sailing! The University of Plymouth can trace its heritage back to the Plymouth School of Navigation, which was founded in 1862. Renowned for high quality, internationally-leading education, research and innovation, the University is central to Plymouth both in physical location, and in its commitment to the city and wider region – a truly embedded element of the cultural landscape. Its home city has been a gateway to the Americas for centuries, ever since the Pilgrim Fathers left on board the Mayflower in 1620. With the 400th anniversary of their epic voyage next year, the University is playing an increasingly prominent role in exploring new opportunities that will ensure the spirit of discovery that carried them lives on. Among our links to institutions in the United States is being the first UK university invited to join the Babson Collaborative, a global community working to build and grow entrepreneurship education, while we also hosted the 15th annual conference of the Transatlantic Studies Association in 2016. The University is playing a key role in the wider city’s Mayflower 400 celebrations, which provide an opportunity to reflect on Plymouth’s exceptional past, present and future. A rich culture and heritage programme has been developed by a national partnership, working closely with the US, the Netherlands, and the Wampanoag Advisory Committee, to commemorate the voyage in a meaningful way on both sides of the Atlantic. These include Mayflower 400: Legend and Legacy, a national commemorative exhibition presenting an epic journey of survival and imagination, curated with the help of over 100 museums, libraries and archives across the world. The Mayflower Ceremony will bring the four nations together on the anniversary of the Mayflower’s departure for a poignant civil ceremony and new heritage trails will journey through Plymouth’s past. The year is bursting with local community activities, including the Mayflower Ocean Festival, the Mayflower Makers volunteer programme, the Community Sparks Fund investing in local organisations, and new cultural attractions including the opening of The Box, a new £45m+ cultural hub and museum in which the University is a key partner. Join the annual conference at the University of Plymouth and enjoy all that this city has to offer. The city is well connected with transport links, and has a range of accommodation options in close proximity to the venue to suit all budgets. This serves as the Call for Papers for the 2019 Britain and the World Conference, Kansas City, April 2019. After our annual conference in Exeter in June 2018, Britain and the World returns to the US: Thursday 11 to Saturday 13 April at the Marriott Country Club Plaza, Kansas City, MO. The conference plenary speakers will be Professor Alison Games, of Georgetown University, and Professor Susan Kent, of the University of Colorado Boulder. Known as the City of Fountains, Kansas City is rumoured to have more fountains than Rome and is synonymous with art, jazz, and barbecue. With authentic Kansas City BBQ, over 40 venues for live jazz, and it's a penchant for green spaces, KC is ranked among America's most underrated cities and one of its friendliest. With the National World War One Museum, the Nelson-Atkins Museum of Art, and the Truman Presidential Library all in close proximity, Kansas City provides “an unmatched ambience of Midwestern charm”. The conference icebreaker will be held on the Wednesday evening, a welcome reception on the Thursday, the Dinner Party on the Friday, and the outings downtown on the Saturday. What better to follow a second full-day of conference in arguably the BBQ Capital of the World than “smoked meats and amusements”? We’re delighted to announce that this year’s conference dinner will be hosted at Char Bar, a pre-eminent local smokehouse. (With GF and vegan menus.) Char Bar is 15-minutes’ walk from the conference hotel. We have our own dining space, and so need to know numbers. The plentiful buffet will be only $38, please sign up under 2019 Conference Registration. We hope very much you can join us at one of the highlights of conference. We've secured eighty deluxe guest rooms at the Marriott, Wednesday-Saturday, at the special rate of $169 per night; many other hotels may be found in the immediate vicinity. Conference rates cover registration, refreshments throughout the day, and lunch on all three days. We’d like to stress that Britain and the World is a non-profit organisation. Our colleagues are hosting a conference in Singapore this December that might be of interest to our members. Please see the Call for Papers below. By the end of the Great War the British Empire had expanded its reach across more territory and was in control of more people than ever before. The implications and reverberations of this transformation can still be felt today. This conference focusses specifically on an examination of the social and cultural reactions within the old and new colonial societies at the end of the first global conflict and in the inter-war period. Organisers are interested in papers dealing with themes ranging from colonial responses, loyalties and disloyalties, gender roles, class and race relations, migration and displacement, collective identities and memorialisation and memory; as well as art history, especially music, theatre, film and photography, as well as the perspectives of artists. Keynote speakers confirmed include Professor Panikos Panayi, De Montfort University, Leicester, Professor Heather Streets-Salter, Northeastern University and Christopher Latham, Australian National University. For more information please visit the conference website: https://empirearmisticeandaftermath.wordpress.com/. Please send an abstract of 200 words and 150 word bio no later than 15 March 2018 to mwalsh@ntu.edu.sg, romain.fathi@flinders.edu.au, andrekos.varnava@flinders.edu.au, margaret.hutchison@acu.edu.au. This serves as an announcement for a conference that may be of interest to our members. Join our colleagues at the Université de Picardie Jules Verne, Amiens to explore issues of colonial and wartime migration. Join us for our upcoming annual conference in Exeter this June! The Keynote Speaker is Professor Martin Thomas (University Exeter), and the Plenary Speaker is Professor Audrey Horning (Queen’s University Belfast). There will be lunchtime roundtables on cinema and history, and on public history. Publishers present will include our journal publisher Edinburgh University Press, and our book series publisher Palgrave Macmillan and the commissioning editor will be present throughout to discuss your publishing plans. We are happy to announce the following registration rates. Please note that all registration fees include lunch and refreshments throughout the day. Please consider joining our organization today (membership is $59/year) and includes access to our bi-annual journal Britain and the World. For those arriving on Wednesday, 20 June you'll note that the conference icebreaker is that evening. We'll leave from reception at Holland Hall at 7 pm to walk down to the Imperial. We hope you can join us. For general inquiries relating to the conference, please contact editor@britishscholar.org. Room bookings: The deadline for booking through the registration page has now passed. But you can try booking directly through Event Exeter, https://bookings.eventexeter.com/. You can then use the PC18 code to get a discounted rate. Just be sure to mention in your notes/special requests that you are attending the conference. For 2017, Britain and the World returned to our roots for our 10th anniversary in Austin, Texas. Professor Carla Pestana delivered an amazing keynote speech on civil defense in the interwar period with a material history of the gas mask. We also held our traditional dinner party at the beautiful Oasis on Lake Travis. For 2016, Britain and the World met in London at King's College for our annual conference. This was one of our biggest conferences to date. The keynote speaker was Professor Catherine Hall (University College London), and the three plenary speakers were Professor Stephen Conway (University College London), Professor Margaret Hunt (Uppsala University), and Professor Philip Murphy (Institute of Commonwealth Studies). Our Conference dinner party was onboard the Golden Flame, a Thames riverboat! We had a lovely time exploring the Thames while sharing stories of network and enjoying the history surrounding us. This conference will always be memorable for all who participated because of the referendum on Brexit that occurred during our conference. For our 2015 conference, we were in Austin, Texas. Professor Jane Ohlmeyer of Trinity College Dublin delivered the Keynote Address on Saturday, 4 April entitled ‘Eastward Enterprises: Colonial Ireland, Colonial India’. The Keynote Address reconstructed the career of Gerald Aungier, the most important early governor of Bombay (1669-1677). Aungier was the grandson of an early seventeenth-century Wexford planter and the brother of the Earl of Longford, an active colonist, and entrepreneur who developed 1670s Dublin on the back of Indian treasure. Aungier planted and colonised Bombay much as his relatives had Ireland during an earlier period. This lecture explores similarities and differences in the colonial processes and looks again at Irish and British expansionism in the East. Our Conference Dinner Party took place at Scholz Beer Garten on Friday evening, 3 April 2015 from 6:30 to 9:30 pm. The Scholz Beer Garten is the oldest continuously operating business in Austin, Texas (since 1866). For our 2014 conference, we traveled to Newcastle upon Tyne in the UK. The conference took place at the gorgeous Newcastle University. The highlight of the conference for many of us was the conference dinner party at Alnwick Castle – Harry Potter’s Castle! We also saw where they filmed many of the Quidditch matches. This was certainly an amazing social event that many enjoyed. We also held our conference icebreaker at the Baltic Center. The sixth annual Britain and the World Conference saw over 150 scholars from sixteen countries on six continents gather in Austin, Texas. The conference opened on Thursday with the Frank M. Turner Memorial Lecture being delivered by John Mackenzie, who presented attendees with his assessment of the continuing debate on the background dynamics and thought processes of British imperialism. Panels on such wide-ranging topics as Cold War British culture, imperial education, and British architecture in the American Southwest followed, with attendees meeting later at Icenhauer’s Bar in Downtown Austin to enjoy some of Texas’s world-famous BBQ, drinks, and engaging conversation. This entertaining event was funded by a generous donation from Gale-Cengage Learning. On Friday, Wm. Roger Louis spoke on the intriguing topic of the history of Oxford University Press and its connection to the network of the British Empire. That evening, attendees partook of interior Mexican cuisine at Casa Chapala in downtown Austin. On Saturday, the annual Britain and the World lecture closed our scheduled talks, with Anne-Marie Motard giving an insightful address on the aspects of insularity in the ideology and development of the Labour Party. After this, the annual Wm. Roger Louis Prize was awarded and the conference adjourned for a last night out on the town in warm, lovely, and lively Austin. 2012 marked the first time that Britain and the World traveled to the UK for our annual conference when we met at the University of Edinburgh. Our Conference Dinner Party was held at the National Gallery of Scotland. For our 2011 conference, we were in Austin, Texas at the Harry Ransom Center on the campus of the University of Texas at Austin. A.G. Hopkins delivered an amazing keynote speech entitled “The United States, 1783-1861: Britain’s Honorary Dominion?” on 1 April 2011, followed by the annual British Scholar Dinner Party. Our third annual conference was held at the Harry Ransom Center on the University of Texas Austin Campus. The keynote speaker Professor Ted Delaney asked participants to consider if slavery made Scotland great. Please see the video of the keynote lecture below. The 2009 British Scholar Annual Conference came to an end on Saturday afternoon following three intellectually-engaging days. Sir David Cannadine opened the conference on Thursday, 19 February with his entertaining and illuminating lecture entitled “Ending the British Empire: Independence Day Ceremonials in Historical Perspective”. Friday saw the beginning of twenty panels that covered every part of the world from India and Nigeria to Australia and the Caribbean and all historical approaches from political and economic to social, intellectual, and cultural. Linda Colley’s keynote address on “Empire, Gender, and Obsession: The worldwide political thought of Philip Francis” was delivered on Friday afternoon and touched on numerous themes of interest to historians dedicated to investigating Britain’s interactions with the world. The British Scholar Dinner Party on Friday evening was held in the Texas hill country and included live bagpipers and drummers, prime rib, Texas-style barbeque from the world-famous Salt Lick Restaurant, the free flowing of wine and ideas along with lively conversation and classical musicians playing throughout dinner. Saturday saw the continuation of numerous engaging panels and the entire conference was capped off by a pub crawl in downtown Austin on Saturday night. This was our very first conference, and we were thrilled to have such a great response. The best papers that came out of this conference formed the basis for the first issue of our journal.